This is a 10-year challenge I can get behind. 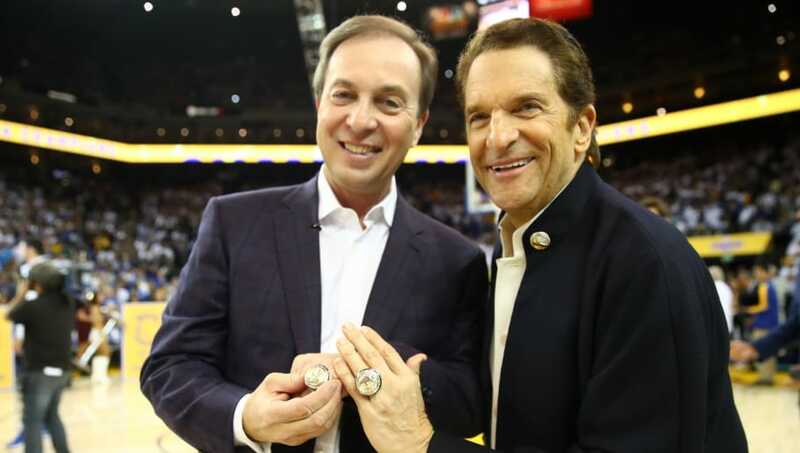 The Golden State Warriors were valued at $315 million in 2010 when Peter Guber and Joe Lacob purchased the franchise for $450 million, a then ​NBA-record. One would certainly think that they overpaid for a franchise that was a stranger to success. Well, nine years and three championships later, the investment has paid off. Forbes recently valued the Warriors franchise at $3.5 billion. That's nearly eight times higher than the $450 million mark back in 2010. Hearing a sports team's worth being in the billions isn't out of the ordinary anymore, as the 50th most valuable franchise, the Cleveland Browns, are worth $1.95 billion, but to hear that kind of financial growth is incredible. Winning three titles in the last four years and having two of the most popular athletes in the world on your roster in ​Kevin Durant and ​Steph Curry definitely helps. But nobody would've expected this franchise to reach this level when Guber and Lacob bought the team. So remember, when you look at that Steph Curry jersey sitting in your closet, you were a part of this accomplishment.